We are proud to announce that Vistaprint was honored by the North American Employee Engagement Awards in the Innovation in Employee Engagement category. 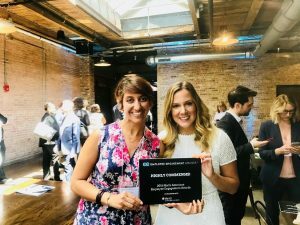 The awards were presented on June 7th, 2018, in Chicago, Illinois and recognized companies that go above and beyond in making employee engagement a cornerstone of their business strategy. You can read more about the Employee Engagement Awards here.